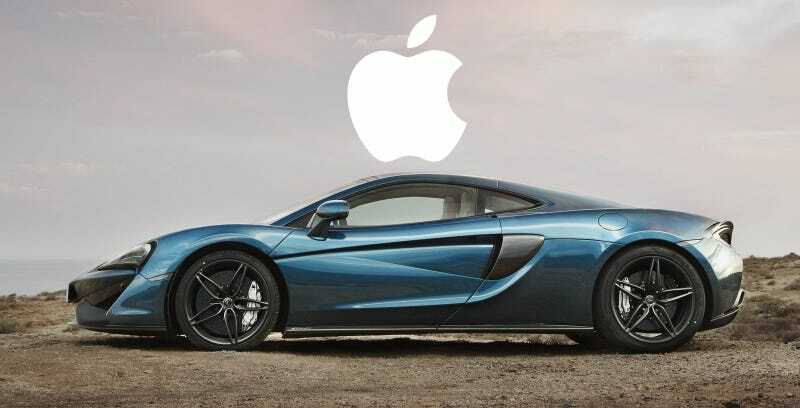 Earlier this morning, the Financial Times reported that Apple was in talks to buy McLaren, citing three different unnamed sources. But we just spoke with officials at McLaren, and they claim none of it is true. At all. “We can confirm that McLaren is not in discussion with Apple in respect of any potential investment,” McLaren’s terse, one-line official statement reads. A source we spoke to at McLaren went further, saying there was zero truth to the rumor. “It’s not true at all. There’s no chatter, there’s no acquisition,” the source said. When asked if one of McLaren’s minority investors, such as the Bahraini sovereign wealth fund known as Mumtalakat could be willing to divest its stake, the source said that would not entail an Apple takeover, either. Mumtalakat only owns half of the automotive group, and not any portion of the valuable Applied Technologies Group or the Formula One team.